Ajith's 54th movie directed by Siva has been titled as "Veeram". On 15th of August, the first look of the film is expected to be released. Its really going to be a big treat for Thala fans. The alphabet 'V' always gives victory for thala because many of his films starting with 'V' such as Varalaaru, Villain and Vaali were been successful box office movies. The film is almost completed and expected to strike the screens on Pongal 2014. 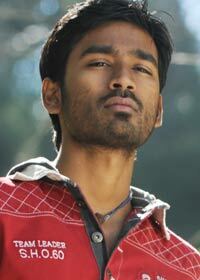 Pradeep Rawat and many more..
Dhanush's 25th movie is going to be directed by Velraj. Velraj was the cameraman in movies named Aadukalam, Polladhavan and Ethirneechal. Its going to be the Debut moive for Velraj as a Director. The film is not yet titled. The title and the first look of the film will be released on August 15. In this movie, Amala Paul is going to pair with Dhanush and Anirudh is going to be the music director. Other crew and cast members will be declared soon. Aadhalal Kadhal Seiveer is an romantic tamil movie going to be released on 15th August. This film is directed by Suseenthiran. Hero role is played by a new face named Santhosh Ramesh and heroine is Manisha Yadav who already played heroine role in Valakku Enn 18/9.